According to a study by Nutrition Journal, college students drink less water because they prefer alternative options such as energy drinks or coffee. In fact, energy drink consumption amongst college students is very common. According to a study from the National Center for Biotechnology Information in which 496 college students were surveyed, 51 percent of those students consumed energy drinks that increased their energy. In contrast, water does more nutritionally than an energy drink, because energy drinks are filled with chemicals that gives a brief amount of energy for a short period of time. However, water is a natural energy drink without chemicals that performs multiple functions for the body. The study also showed college students drink one energy drink approximately one to four times a day. 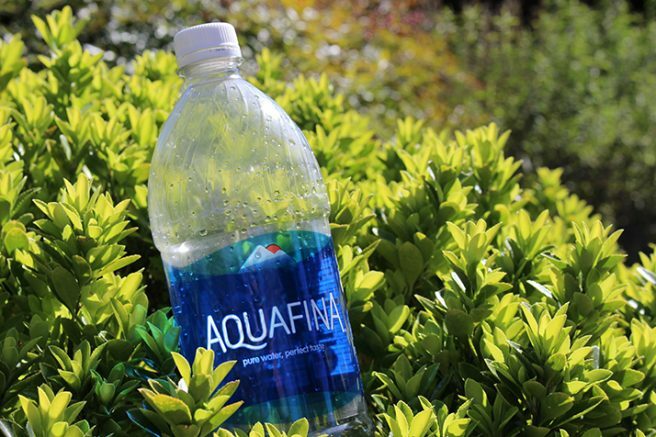 According to a press release from the NPD Group, which analyzes consumer and retail point-of-sale numbers, drinkers in the United States have found alternatives to drinking bottled water. Water is better for the body because it aids in the processes of digestion, absorption, and excretion inside our bodies, according to the NCBI. With this in mind, what can energy drinks do that water can not? For starters, energy drinks contain a significant amount of caffeine, which has been shown to help some with memory and alertness. Some college students struggle with being alert, so it’s easy to see why they would be popular. Energy drinks are also readily available for college students at convenience stores or local campus stores. Coffee also has the same effects as energy drinks, although there are slight difference between the two. Coffee and energy drinks both contain Vitamin B, which is essential for the human body to prevent heart diseases. However, there is concern about excessive consumption of energy drinks which can lead to an increased heart rate or caused by hypoglycemia. Hypoglycemia is a condition that occurs when blood pressure is significantly lower or higher than normal, according to WebMD. When that happens our bodies become dehydrated, this can come back to bite us because our bodies lack the nutrients from water. Water is a better source for energy than other convenient drinks because it will help the body in the long-run, according to health experts at WebMD. That does not mean that students can not enjoy energy drinks, too. For example, a person could have at least two bottles of water a day, one energy drink and two cups of coffee. According to the Better Health Channel, adult men should drink eight cups of water a day while women should drink about 10 cups. Water helps with the cell production, the flow of bloodstreams, a carrier of nutrients to the body, according to Better Health Channel. According to the Mayo Clinic, drinking up to 400 mg of caffeine a day would be like having four cups of coffee, 10 cans of soda, and two energy drinks. Think about that next time you go for your third or fourth energy drink. 1 Comment on "Opinion: Drinking water should be the logical choice"